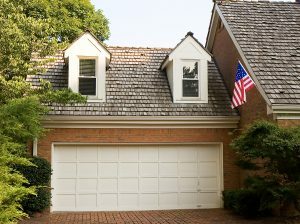 If you need garage door installation services for your home in Greensboro, North Carolina, turn to 31-W Insulation. We proudly offer and install top-of-the-line garage doors made by Amarr®, one of the leading brands in the nation. These doors are made from heavy-duty materials engineered to last a lifetime and resist high winds, and they are even available with insulation options to help you keep your garage at a comfortable temperature without a steep rise in heating and cooling costs. And, with a variety of customizable designs, colors, window options, and decorative hardware sets to choose from, your door can be individually tailored to suit your aesthetic preferences and improve the curb appeal of your home. We have been helping homeowners throughout the southeastern U.S. with their home improvement needs since 1972, meaning we have decades of industry experience. We never hire subcontractors, instead having our own expert employees handle every project. Our installation crew will completely remove your old garage door and haul it away for you, then carefully and efficiently install the new one to ensure that it works properly. What’s more, the garage doors we install come with some of the best safety features on the market. The Amarr Safe Guard System includes finger pinch protection, tamper-resistant brackets, low-profile hinges, and more to prevent injuries during regular operation. For more information about our garage door installation services available in Greensboro, NC, contact 31-W Insulation today.